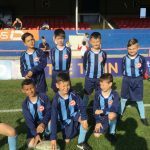 12.6.18 – An excellent week enjoyed by all! 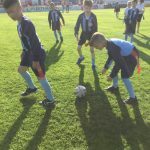 A fantastic day for all the children involved. They all had the chance to participate in every event at a great venue! Thanks to all the parents that came to support the children and the athletics club. 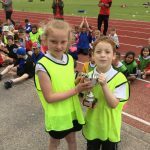 Balby Central played host to the first ever Rose Trust Sports Day held again at Doncaster Athletics Club. Thank you to Richmond Hill, Hatchell Wood and Woodfield for attending. 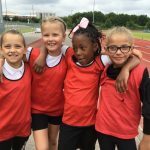 There was a very high standard of Athletics on show and most importantly, a very friendly atmosphere amongst all children. 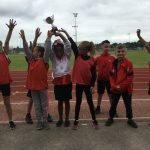 Well done to Richmond Hill for winning the Y5/6 competition and our Balby Central Y3/4 team for bringing home the cup! 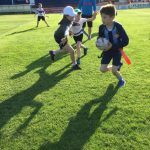 Eight Y4 boys took part in their first ever tag rugby tournament and won all three games, playing on the first team pitch! They then had a fantastic opportunity to wave flags before kick off for the professional game! The boys represented school brilliantly live on Sky Sports! Well done! 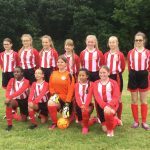 Our Y5/6 girls footballers played in a very tough tournament this Sunday against strong Academy sides. Well done to our goal scorer Millie. There is lots still to learn however the girls showed great resilience and determination to continue! 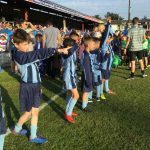 The tournament has only been made possible by our new Wildcats programme and close work with Hyde Park Knights FC. 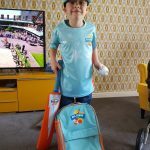 Other news – a big well done to Finley Briggs in Y1 who is making the most of the All Stars cricket programme at Doncaster CC. Looking great in your new kit Finley! 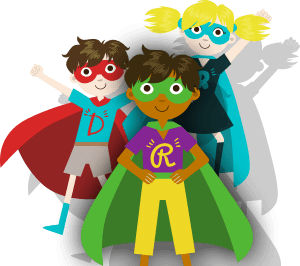 A date for the diary – KS2 Sports Day – 25th June – Get your tickets now! 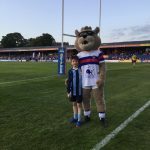 Finley in his All Stars kit! → 9.7.18 – More success!